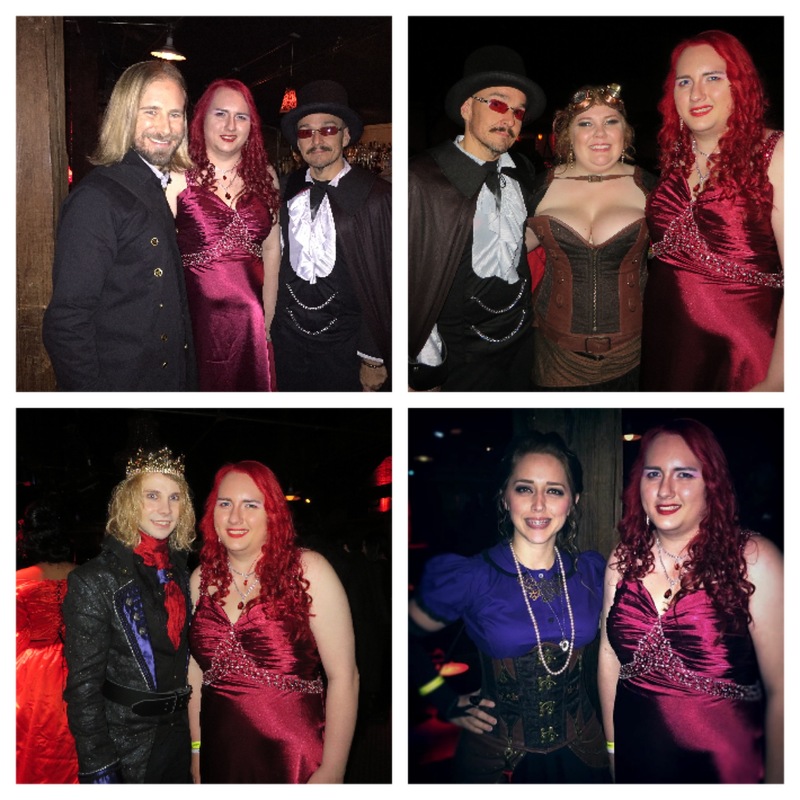 Witches, Vampires & New Orleans – Undead Con 2015! For Halloween this year, I returned once again to the city which had so thoroughly captured a large piece of my heart, my beloved New Orleans. 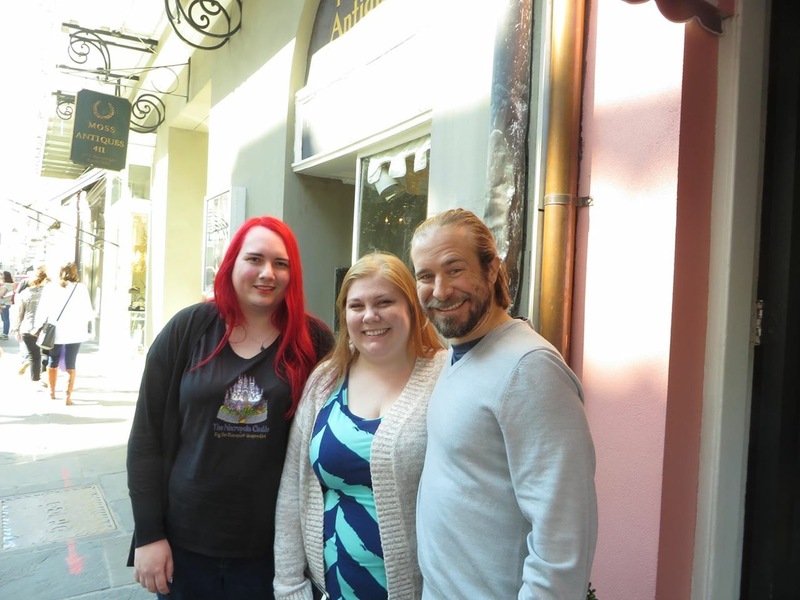 It was my third time visiting this wonderful city and second as an invited author of the Undead Conference and Vampire Lestat Ball. 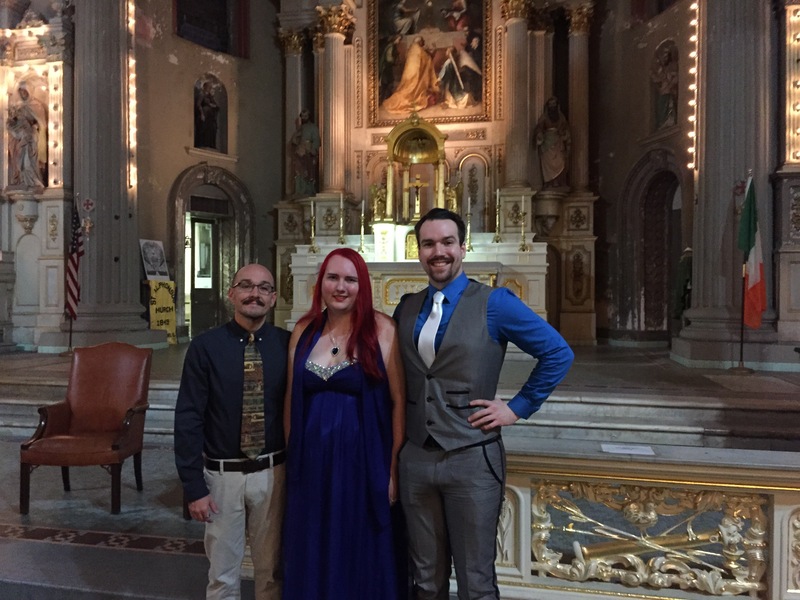 The experience was a delightful adventure of seeing new places and revisiting past favorites, sharing my love for the Gothic with fellow enthusiasts and seeing friends both old and new. 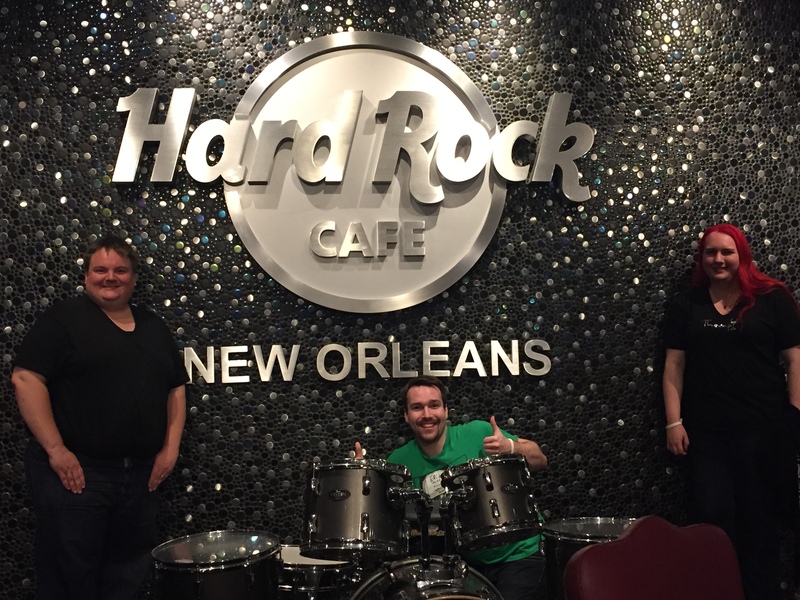 The trip began with two fun nights at the Hotel Monteleone, a historic hotel in the French Quarter. After arriving rather late on the first night, we enjoyed a relaxing morning before having lunch at a local bistro called Mr. B’s. If anyone is looking for an excellent restaurant in the area, I would highly recommend it. 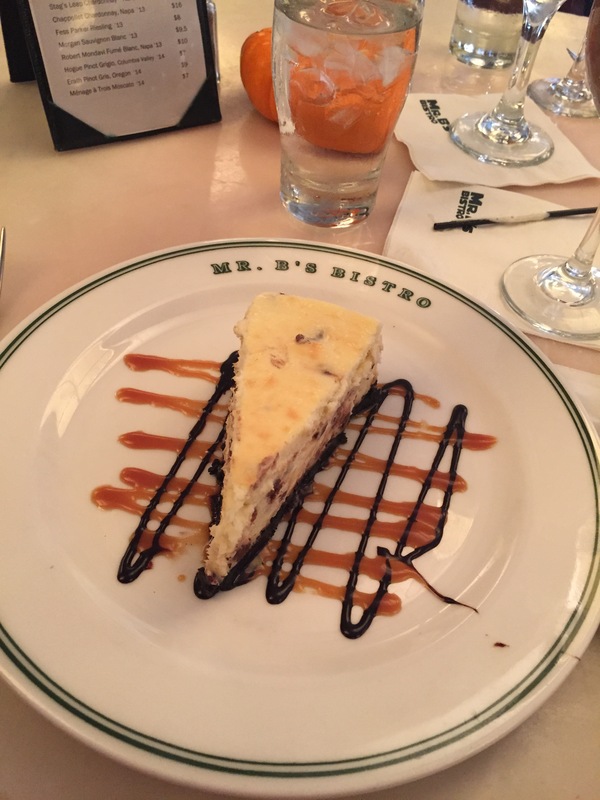 From the meals to the mouth-watering desserts, everything was excellent and it offered a relaxed, enjoyable atmosphere. This wonderful meal was followed by a a few hours of relaxation in the spa before meeting my brother, who had also flown in for the events. With him, we spent the evening walking down the streets of the French Quarter and enjoying the unique feel that is New Orleans. Thursday was when the real fun began. 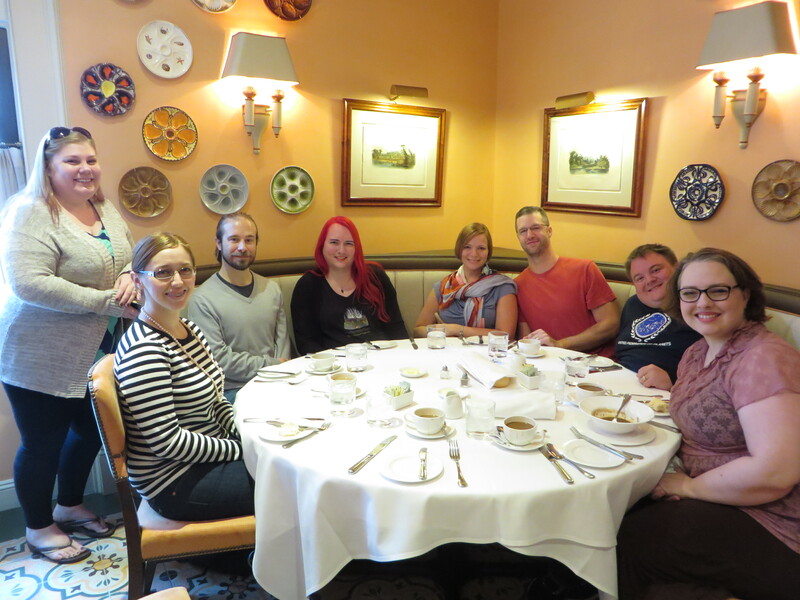 It started with an excellent breakfast between a group of talented artists and writers who also have the privilege of calling each other the most incredible of friends. With great discussion of art, literature, films, upcoming projects and life in general, we had an amazing and fun morning just getting to spend time visiting, a rarity in our collections of busy lives. 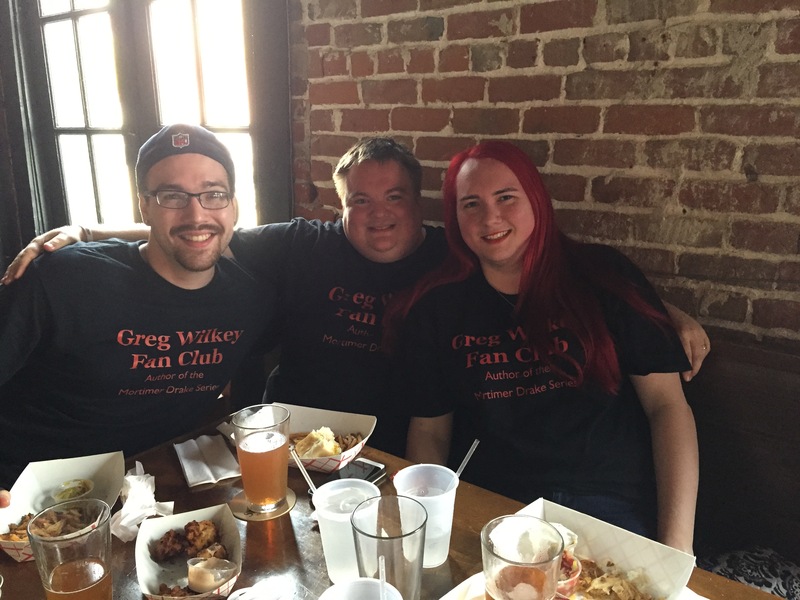 This year it was the same great group and friends…plus t-shirts! 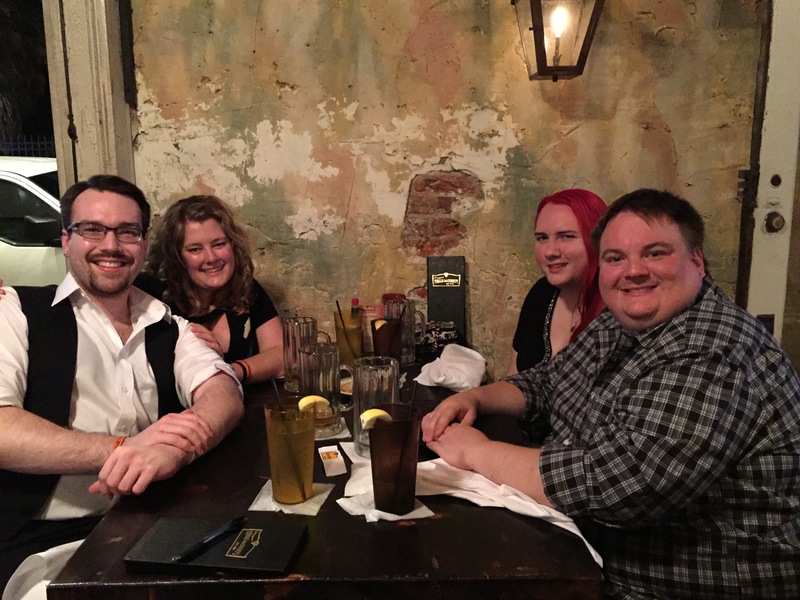 It was awesome to see our friend again and with him, reuniting our group to explore New Orleans with the same love and wonder as the first time we walked the streets together. 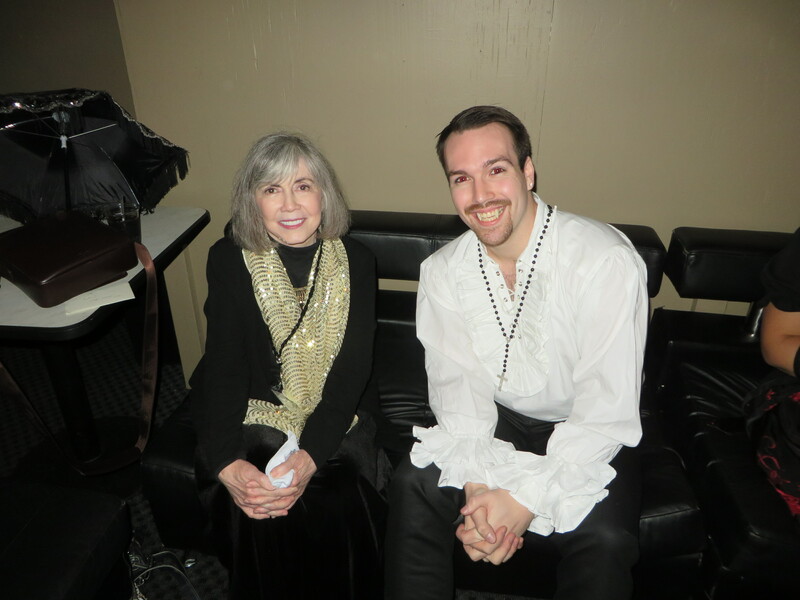 Later that night, we went to the Q&A with bestselling author, Anne Rice. Though I have had the honor of meeting her several times now, I still cannot help but feel the giddiness of a star-struck child every time I get to see her. Especially when she greeted me with a hug at the entrance of the church where the event was to take place! Ms. Rice spent her time at the event greeting guests and answering questions about her writing, both past works and upcoming. Then the rest of our time was spent visiting with old friends and making new ones! The next day I attended the “Ghost” panel, of which Greg was a participant. The panel answered questions from the crowd and spoke of their spiritual and supernatural experiences, from both personal experience for some, and in the work of fiction for others. It created a unique group and a very interesting discussion for the attentive audience. 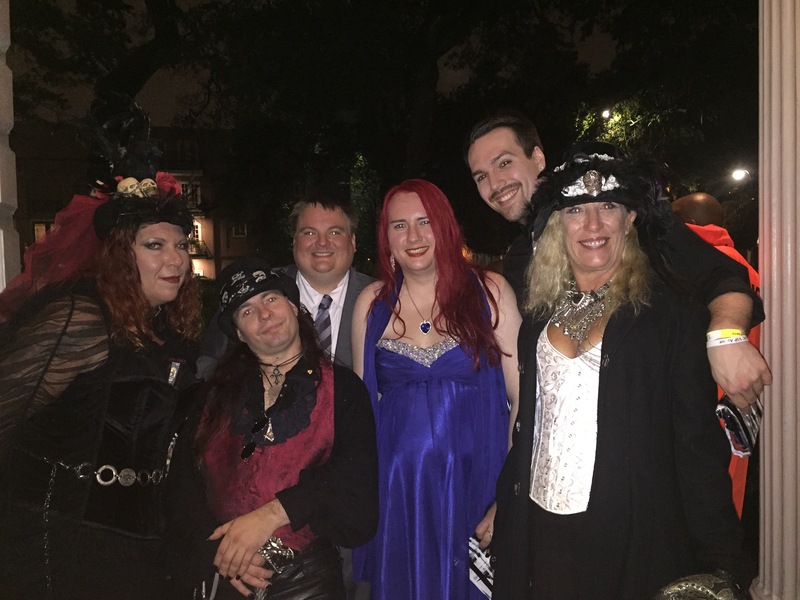 After the panel, we grabbed a quick lunch and then got ready for the 27th annual Vampire Lestat Ball, this year titled Gathering of the Ancients. A few hours later after a trip to the saloon and getting tied into my gown, we were ready for the ball. 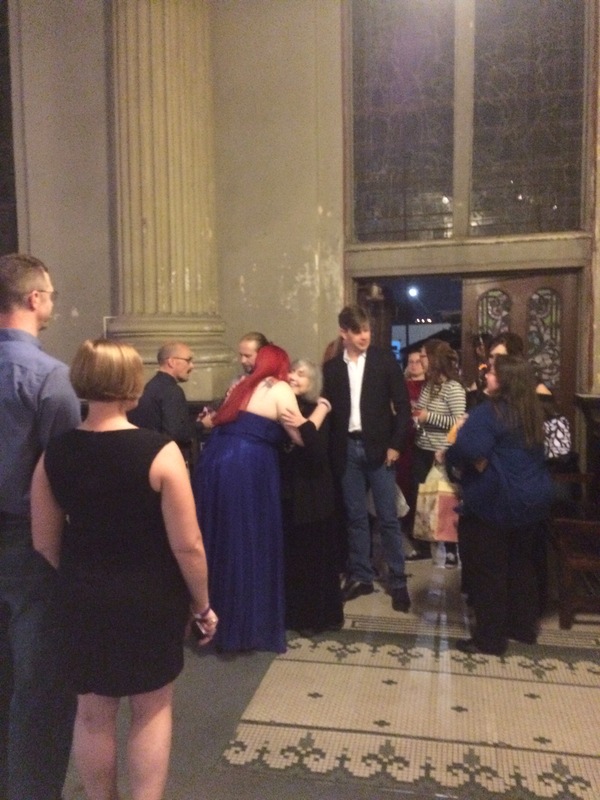 As a featured author, along with other members of my group, we had VIP upstairs access and were escorted past the line directly to the ballroom. The venue was massive, featuring multiple open bars, dance floors, and live bands. 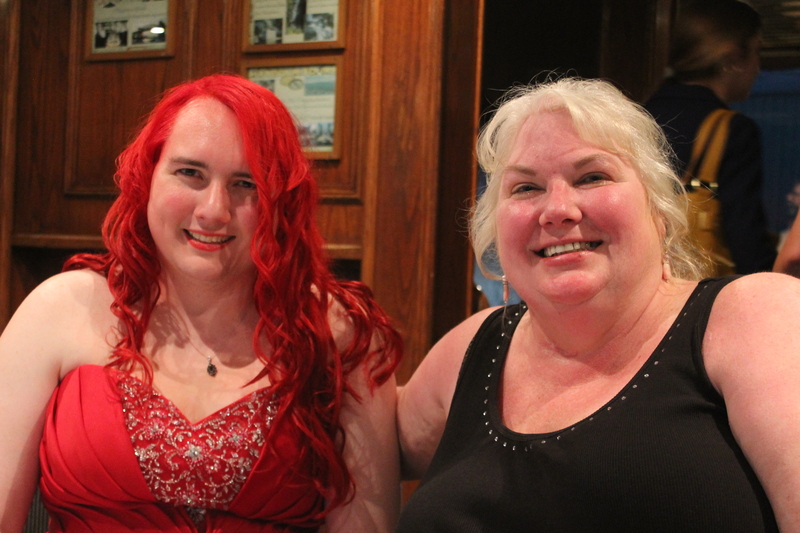 I enjoyed the event, visiting my friends, taking photographs in our formal wear and dancing to the gothic tunes which filled the ballrooms. 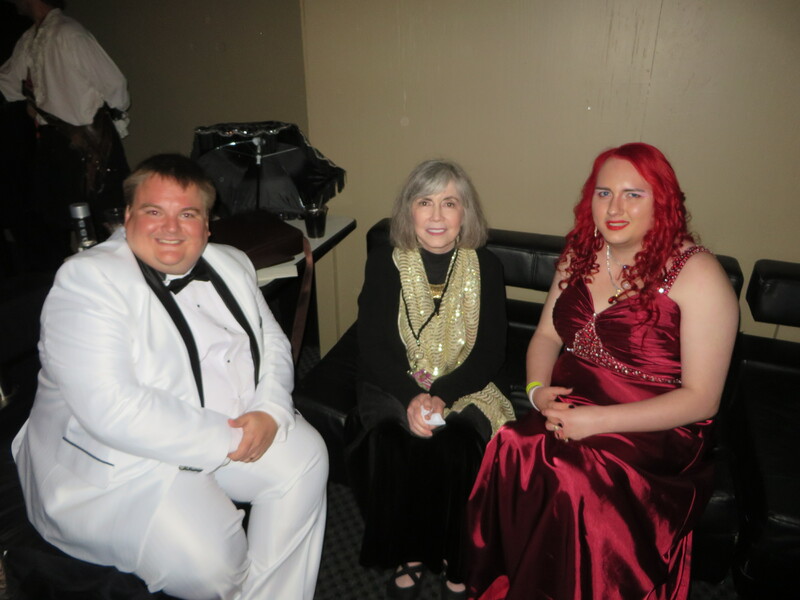 Then, I also had the privilege of again seeing Anne Rice, who was kind enough to take photos with fans during the party. 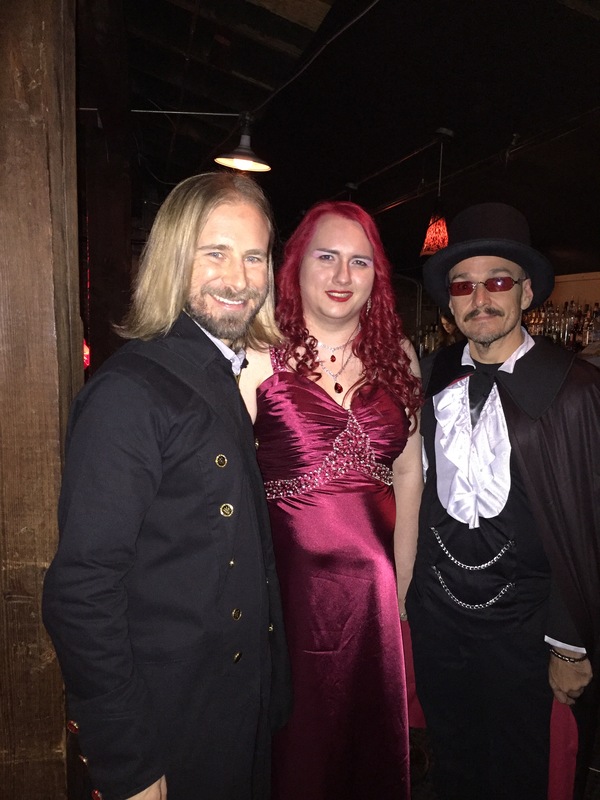 However, one of my absolute favorite photographs was this one, standing with friend and fellow authors Greg and Becket (author of Key the Steampunk Vampire Girl series). It was so wonderful to see them both that night. 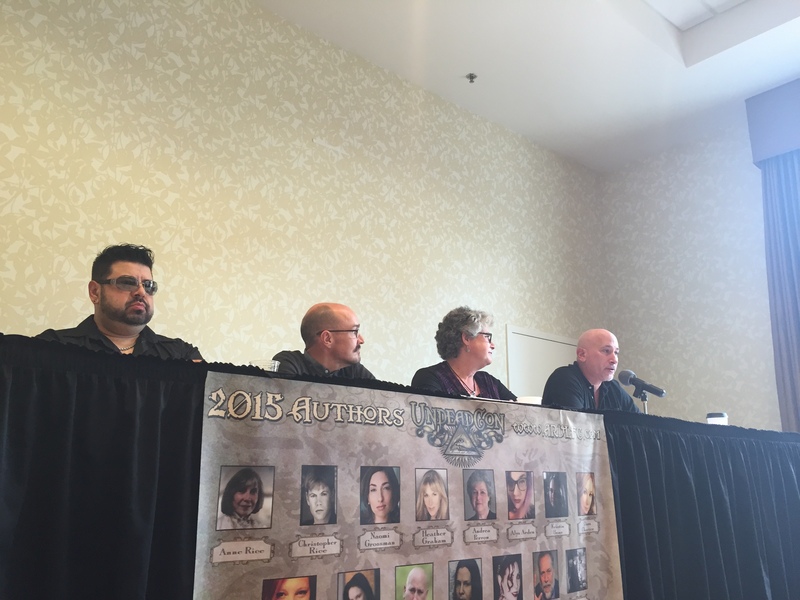 The next day was my own panel, which I shared with Greg Wilkey, Sarah M. Cradit, Alys Arden, and Dawn Chartier. 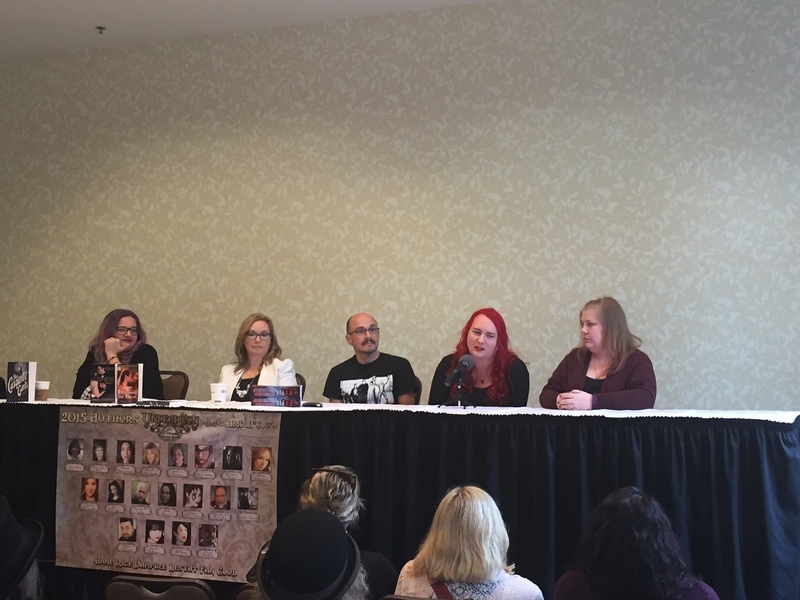 We had a fun panel with great questions covering everything from our writing methods, to our favorite villains. We had a wonderful time and great discussion with both the audience and each other. 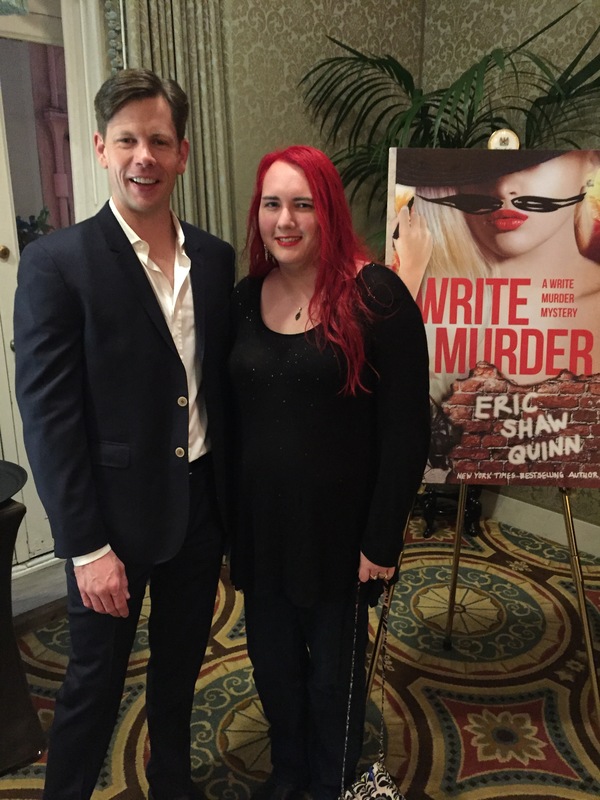 From there, we attended the book release party for another fellow author, Eric Shaw Quinn, whose new book, Write Murder, had just been released. 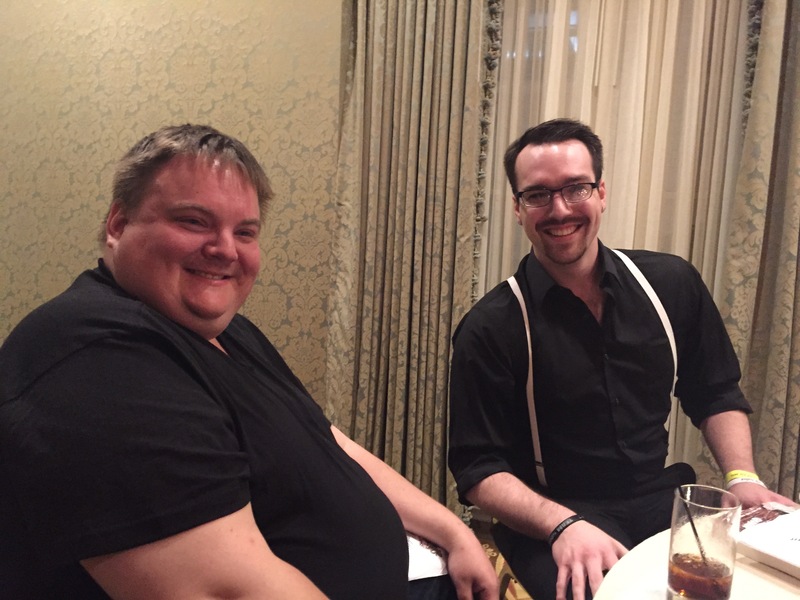 Hosted by the guest of honor and Christopher Rice, the party was rather intimate with an open bar and excellent food. 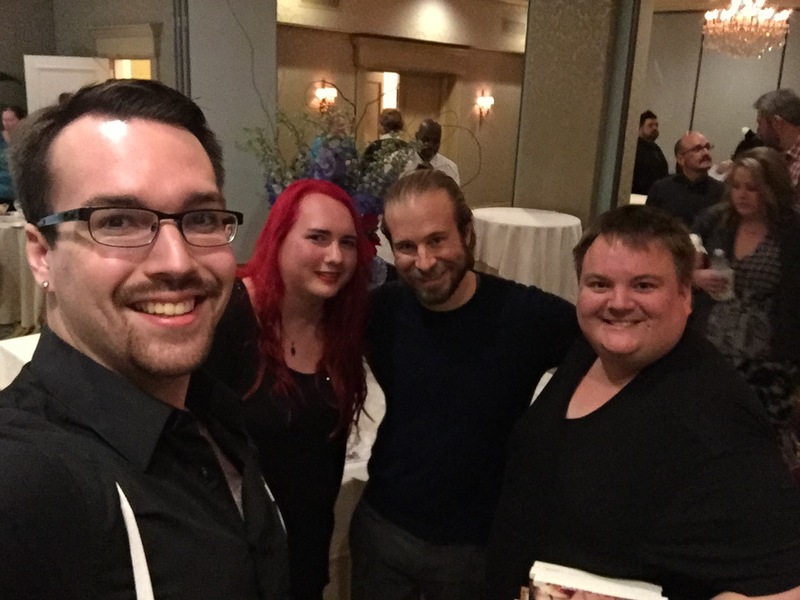 Every attendee was surprised by a free copy of the novel which was subsequently signed by the guest of honor. 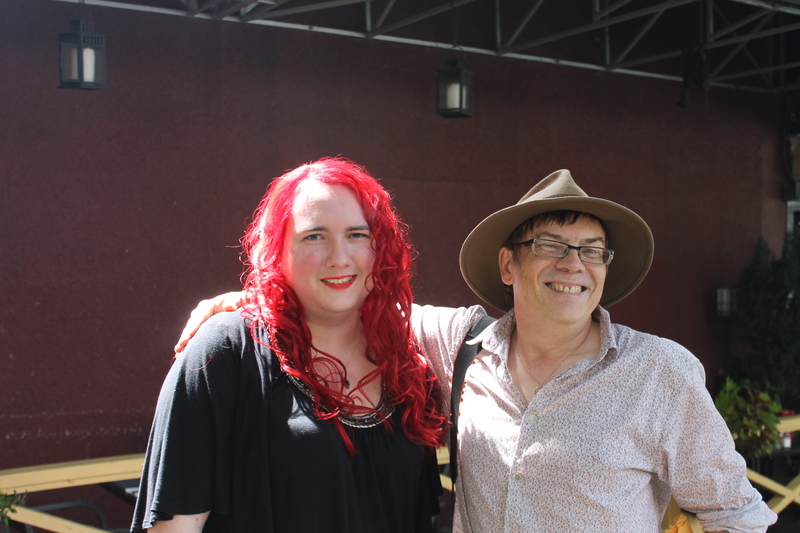 Attendees were also greeted by author Christopher Rice, who was there supporting Eric. 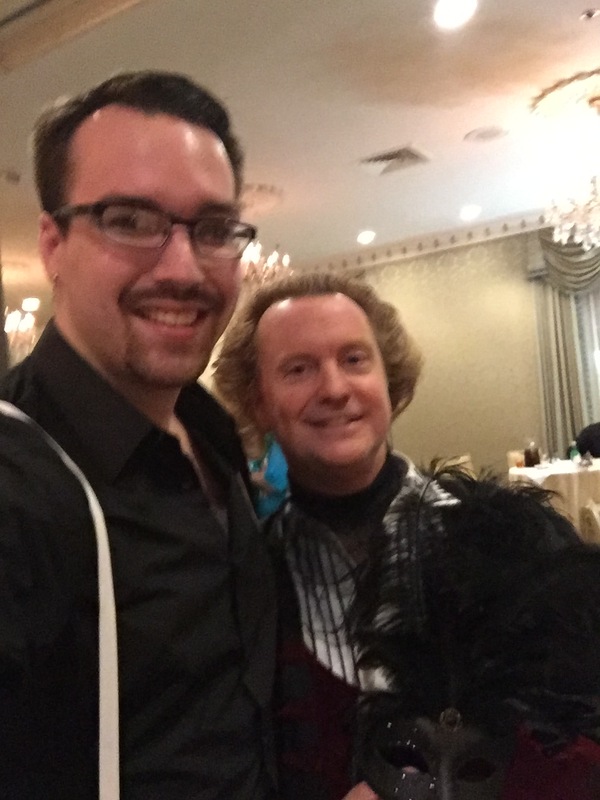 We had a great time at the party visiting with the various guests and enjoying the time with friends. 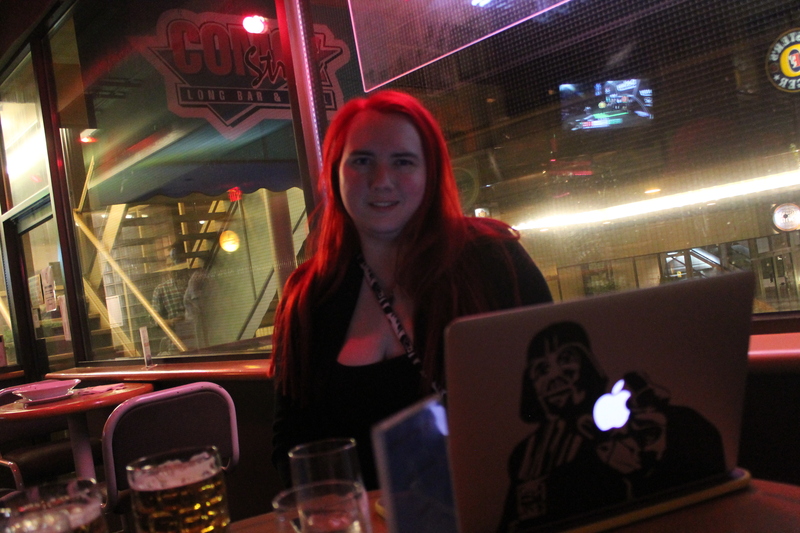 After that, it was straight to the Witches Ball. 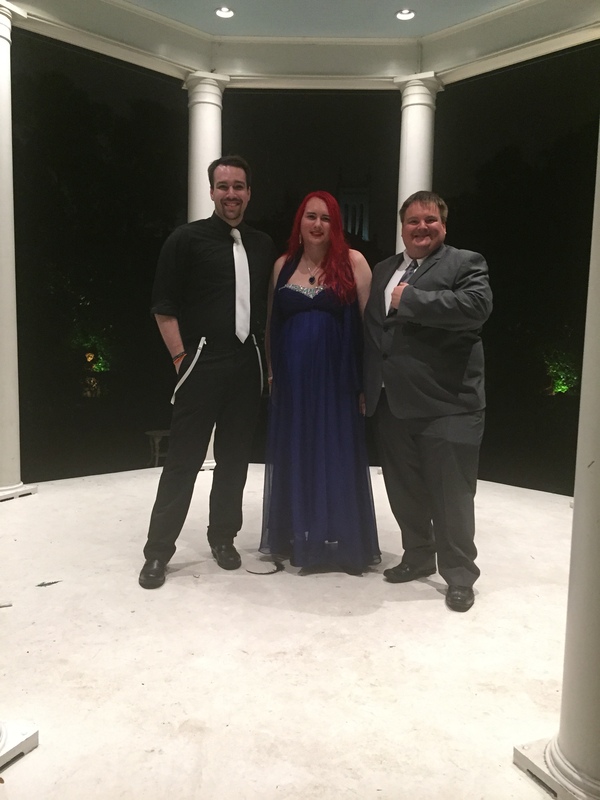 My second time to attend, it was a wondrous gathering at the Elms Mansion in New Orleans. Though a touch on the rainy side, the ball organizers did a great job of covering the outdoor section of the party enough to allow people to enjoy, despite watching it rain. 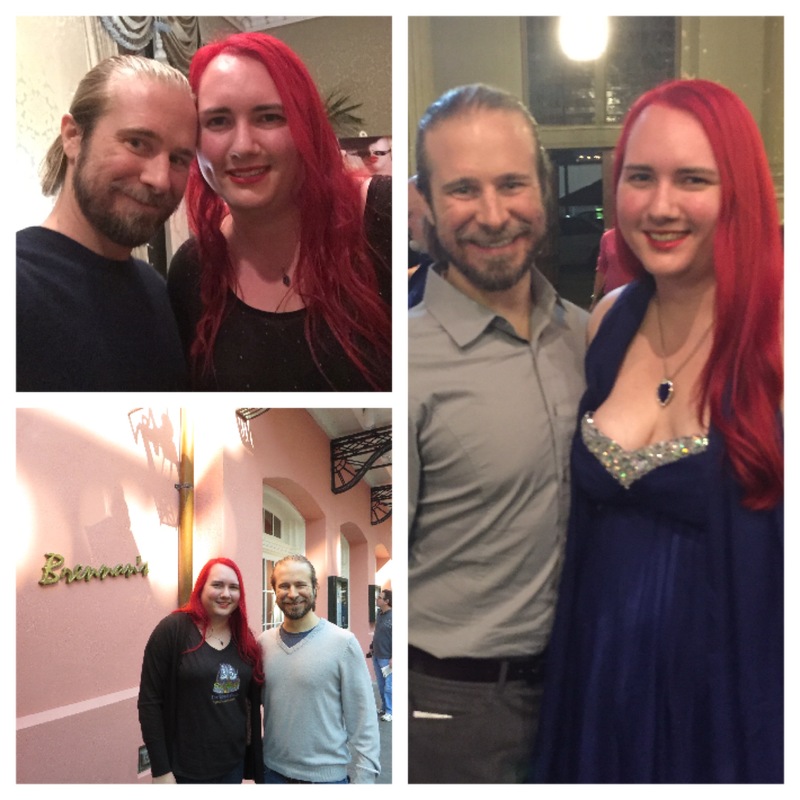 I had a great opportunity to see and visit with some dear friends who I had not seen since the last ball. The next day and after several tearful goodbyes, the majority of the events ended and people began to return home. However, we had booked several additional days to simply explore and enjoy the city. 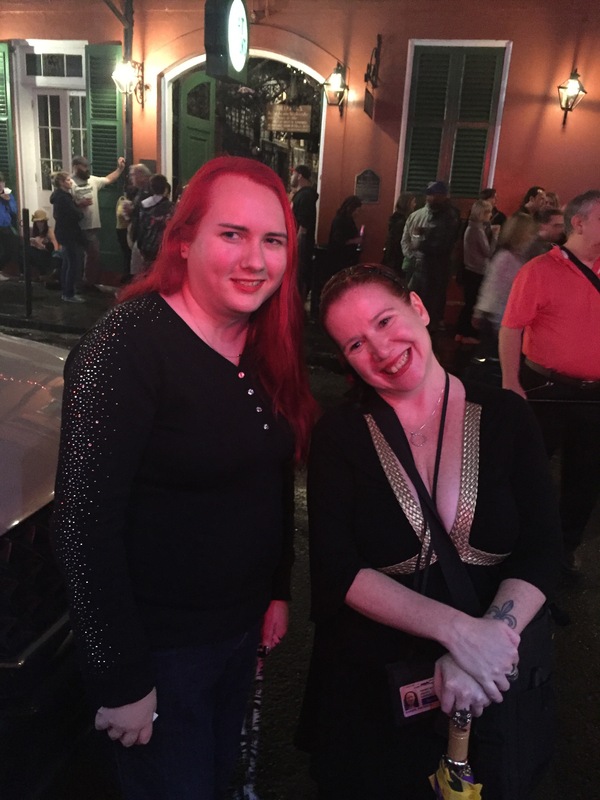 We spent the next few days visiting the French Quarter, visiting others who had booked additional days and simply hanging out together. 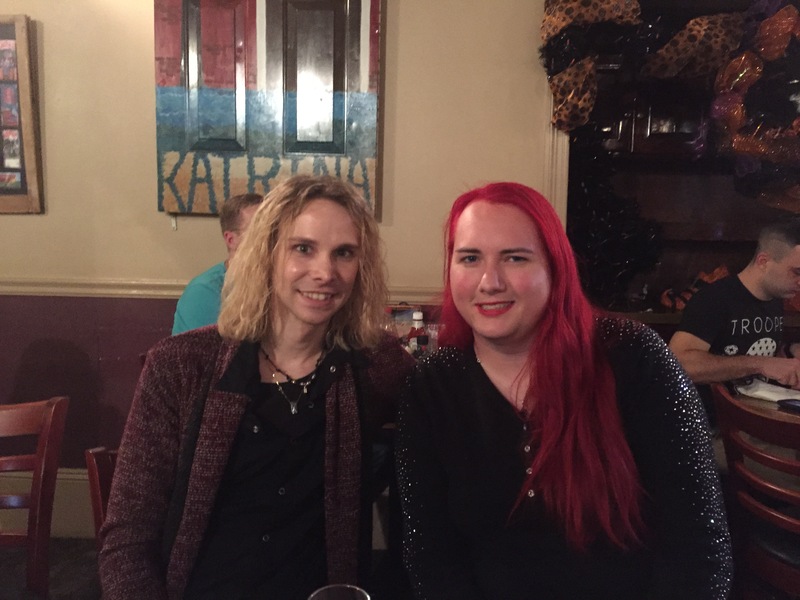 I also was delighted by the opportunity to meet Trisha Baker, author of the Crimson Vampire series which begins with Crimson Kiss. 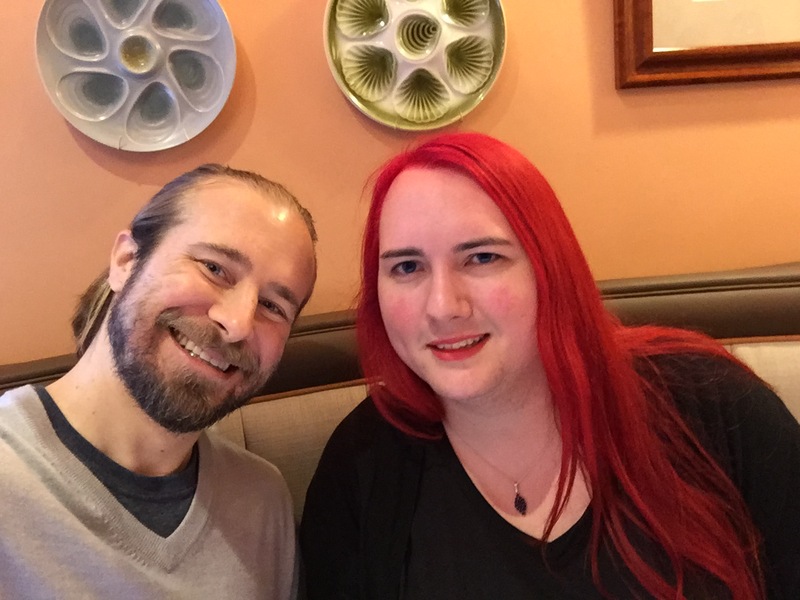 I have been a long-time fan of her work and was very excited by the chance to meet her. New Orleans is definitely among my favorite cities that I have ever visited. Everything from the food to the laid-back atmosphere to the friends who gather every year at this wonderful series of events makes the trip completely worthwhile and one that I have been honored and privileged to attend and hope to continue to be a part of for many years to come. 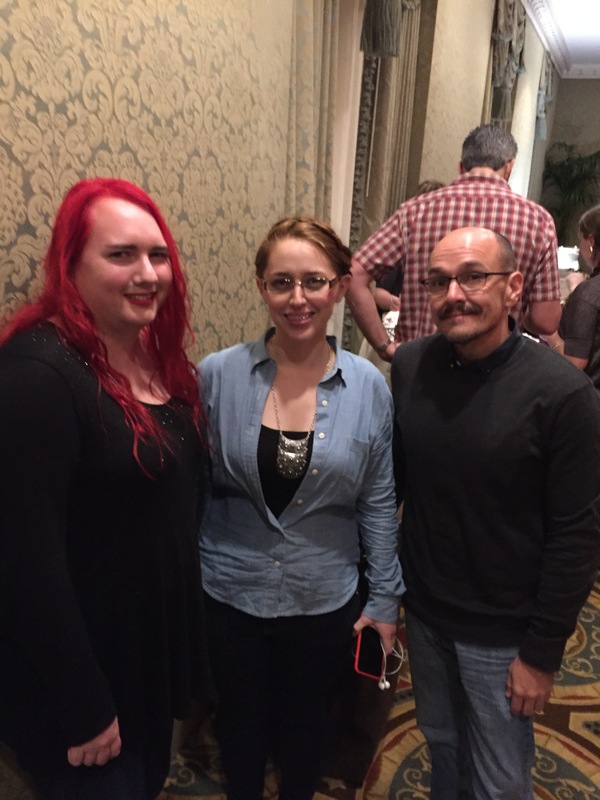 “Every [living] scholar you have ever studied, is probably in this room,” a favorite professor stated at the first event of the International Gothic Association (IGA) Conference. And, with a few exceptions — he was right. 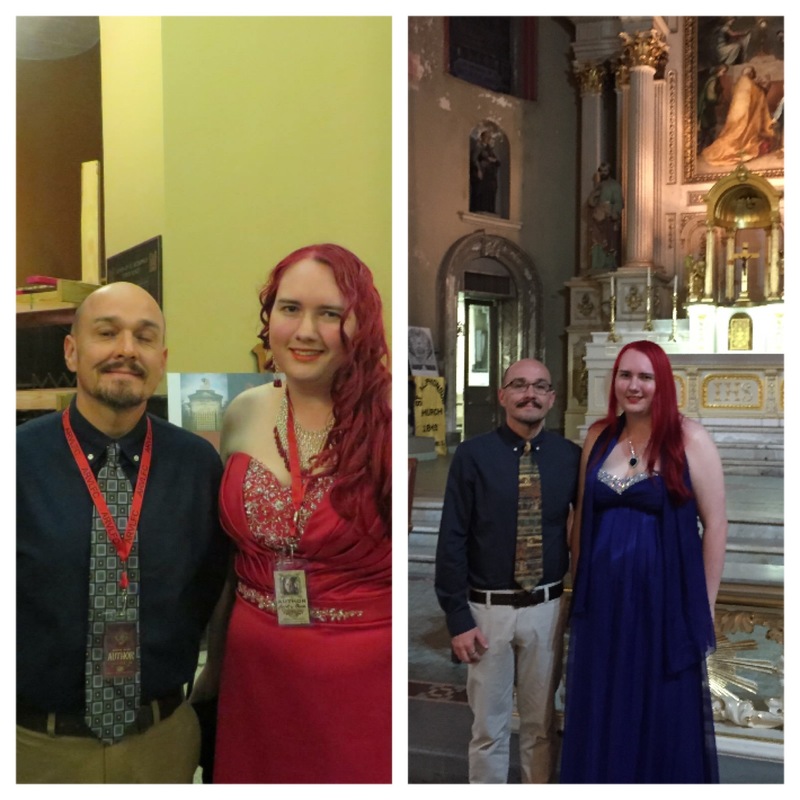 This post is a little late, (and I promise that a recap of New Orleans will be posted soon) but in August of this year, I had the pleasure of speaking at the IGA biannual Conference in Vancouver BC, Canada. 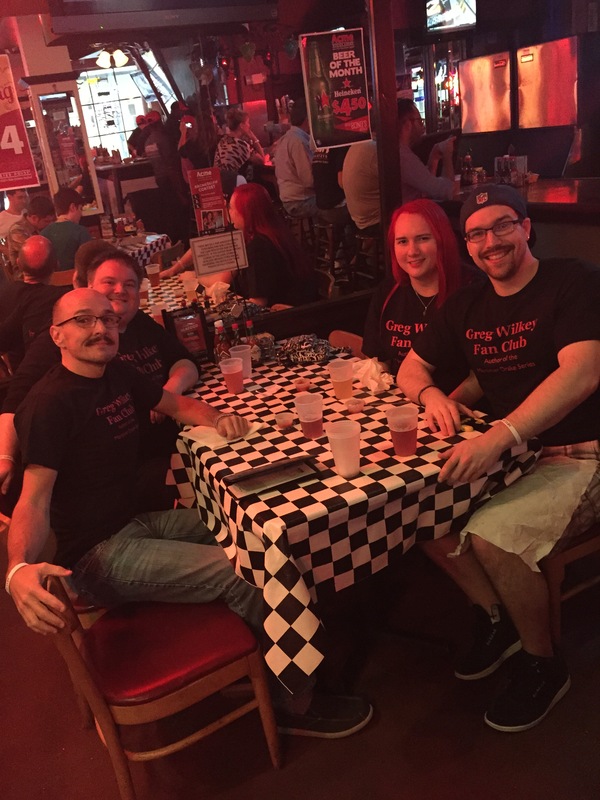 The trip started great, as we located the conference hotel with relative ease and proceeded to check in the night before events were to begin, giving a touch of time to recover from the long drive. The first day was wonderful as I spent the afternoon both visiting with friends and making new ones. 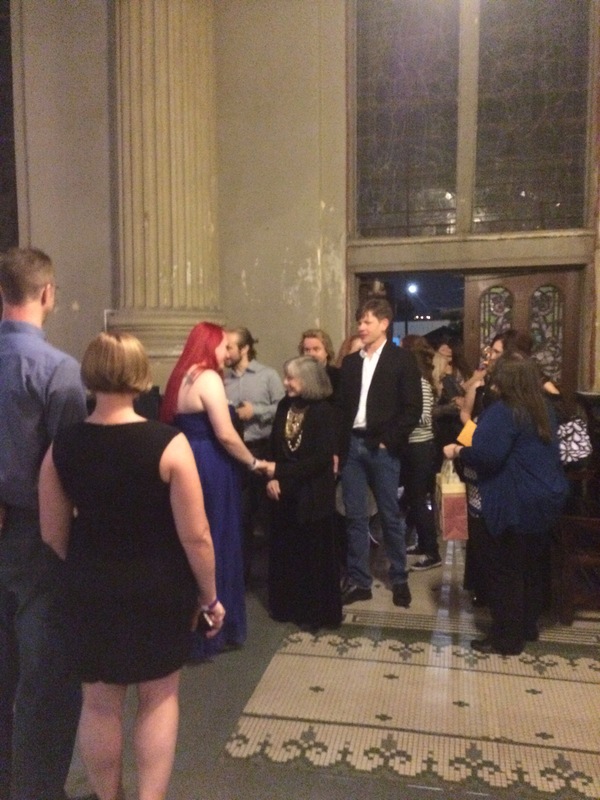 There was also a meet and greet that night which featured an impressive gathering of Gothic lovers from students to writers to professors who came together to celebrate their mutual love of dark landscapes, creatures and literature. 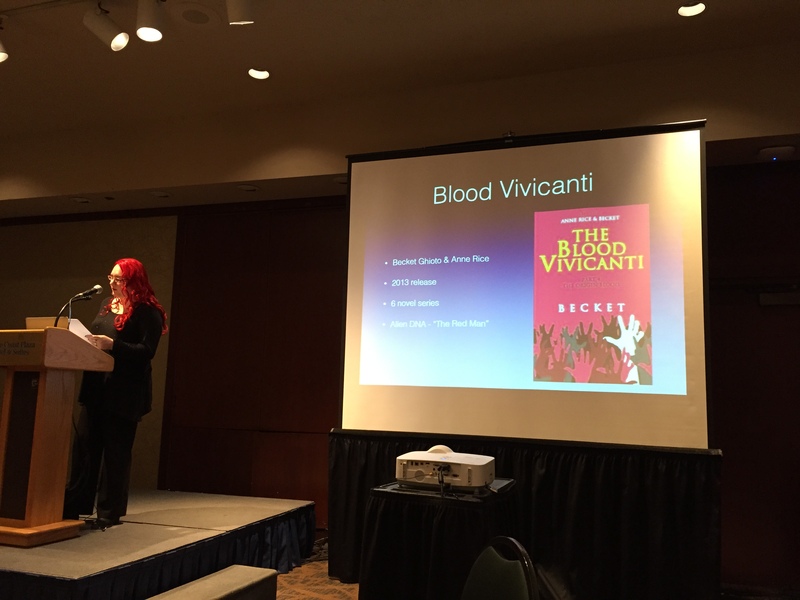 The conference itself was an exciting array of papers, covering topics from the oldest of gothic myth of the victorian era to the most modern of supernatural portrayals ranging from the the supernatural television shows Vampire Diaries and True Blood, to the 2014 release, Prince Lestat to (my personal favorite) Key the Steampunk Vampire Girl, the most current of which was released only a few months ago. It also covered zombies, ghosts, victorian literature and all manner of Gothic tales. I loved getting to meet everyone and stood in awe as a few of those whose work I have studied, quoted and (though I’ll never admit it) worshiped walked by with kind hellos, willing to indulge endless questions pertaining to student’s favorite themes and topics. My own paper came on the final day of the conference, at a panel hosted at 8 o’clock that morning. Given the early morning status, I was slightly worried that few people would show. However, to my surprise and delight, almost the entire ballroom was filled with interested people. I had never presented a paper to a crowd quite so large before and was a touch nervous walking up to the podium, however after a few moments of speaking, my nerves had (mostly) vanished and I was able to deliver the speech, which seemed well-received by the listeners. 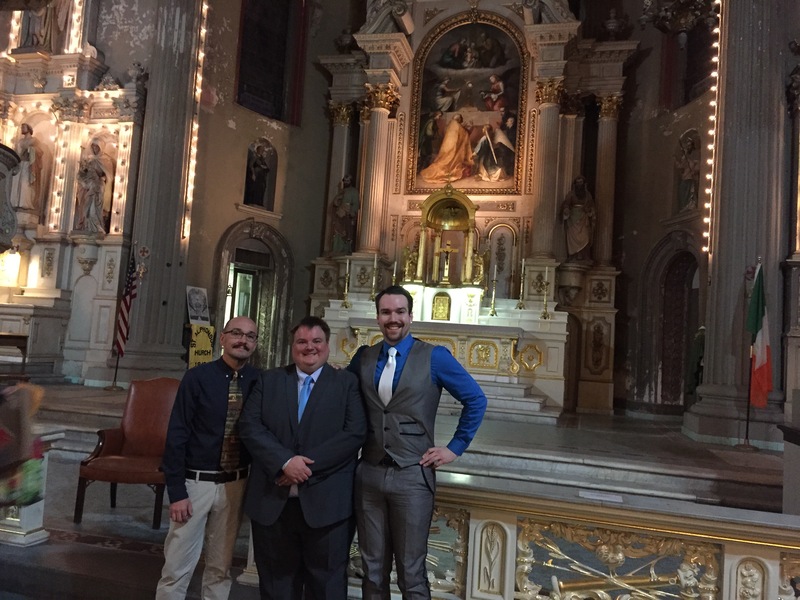 A wonderful introduction to the IGA conference overall, as this was the first time I had ever had the pleasure of attending. Vancouver was a fun city to visit, though I must admit it is often difficult to truly explore in the middle of a long conference. However we did get to visit some great restaurants, a lovely park and a few other places as we went through town. The greatest night that we had to explore, was the last night of the conference, when we took a river boat tour which doubled as the official dinner for the conference. 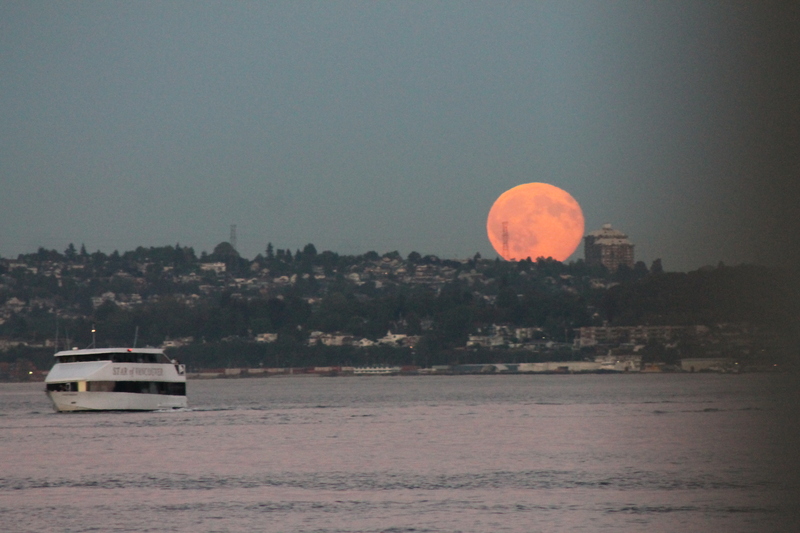 It was a fun boat with live music and beautiful settings against the background of the Vancouver sunset. 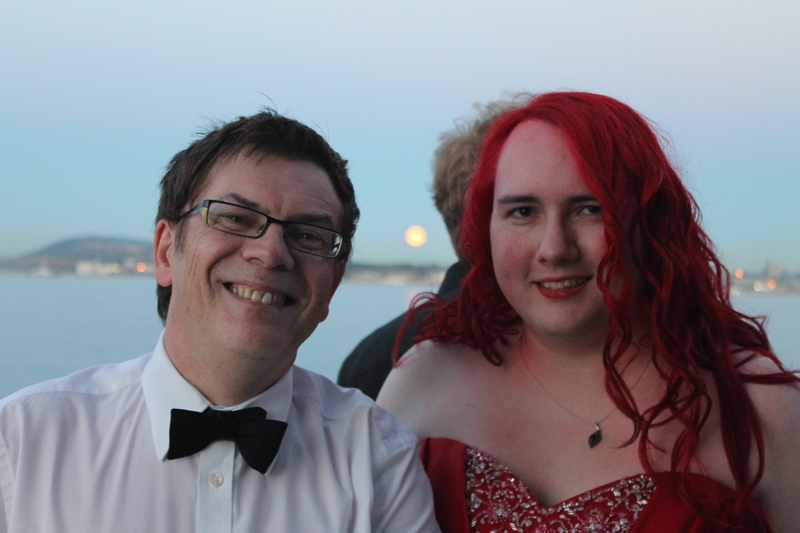 The food was surprisingly good (some conference dinners leave a touch to be wanting) and a good time was had by all. Overall, it was a great experience and I am very much looking forward to attending this wonderful event in the future.